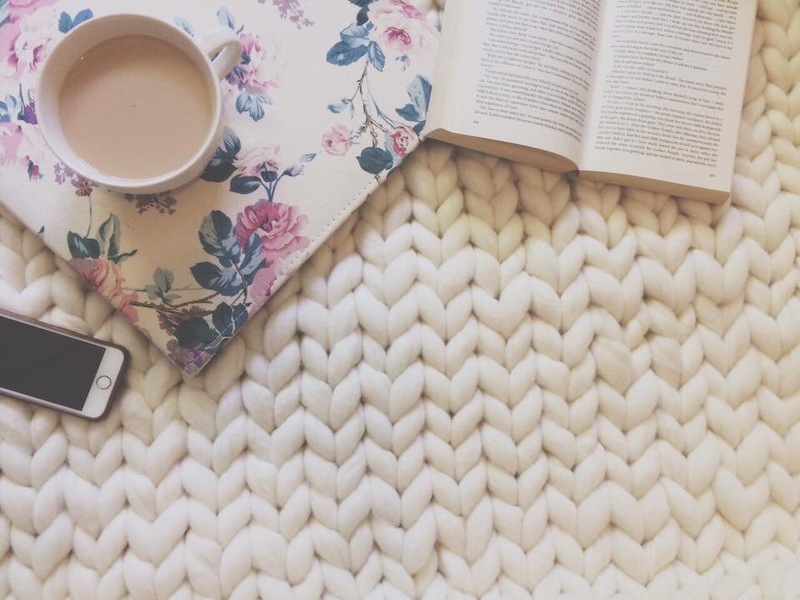 Have you always wanted to own one of those giganto throws you’ve seen on Pinterest? Can you just see youself in front of the fire, glass of Gluhwein in hand, the smell of rain filling the air while you’re nestled under your giganto throw? Well, you don’t need to only imagine it anymore, you can now own your own locally handmade giganto merino throw from La Laine Merino Throws! La Laine is the first handmade, 100% South African Merino Roving Throw in the country. Each blanket is hand knitted to order, using the finest Merino wool, to create a truly unique statement piece for your couch or bed. Merino wool doesn’t itch, scratch, or irritate the skin, and is soft, gentle, and luxurious to touch. The wool that La Laine use is also hypoallergenic and antibacterial, and regulates to your body’s temperature, keeping your warm and comfortable, without overheating your body. La Laine was founded when the founder saw a giganto blanket, and needed to own it. We all know that feeling, right? Instead of pulling out the credit card and buying one, Danielle wondered if she could make it herself. After days of research and seeing how many people also wanted (or needed?) one as well, and like that, La Laine Merino Throws was born! Danielle’s mom helped her invest in getting her first two throws done, took some photos, and started a Facebook page! After working a 9 to 5 job, it was the perfect breakaway to be her own GIRLBOSS! Something special about La Laine is that it’s a one woman show. Danielle runs the entire process from orders, knitting, dyeing, social media, getting the orders out. She’s the heart and soul of La Laine and it shines through when she see her pieces and completed blankets. For Danielle, creating something from start to finish, is very personal to her and makes her feel amazing that she has the ability to do that. “It’s nerve wracking, but thrilling, and very therapeutic and rewarding. Looking down at the throw after hours of prepping wool and knitting like crazy and it just feels … good”, says Danielle. Apart from being everything about La Laine, Danielle is also proud to produce something that is 100% locally made, from a country like South Africa. There’s so much to be proud of, and to produce something that carries the local label is something Danielle strives for. Using local resources, being part of slow fashion, and being part of the amazing products that makes South Africa so rich. La Laine throws come in a selection of sizes and shades, you get to choose exactly what size, in what shade you’d like it. Because all throws are custom made to order, you’re getting something that is personally made for YOU when you place your order. You can shop La Laine on Hello Pretty here, and on Simply Home here, or directly from Danielle on her Facebook page here. Danielle plans to take La Laine internationally in the future, and every home should have a merino throw somewhere. Order yours now to get it for winter! **Disclaimer: This post has been sponsored by La Laine Merino Throws. All images are property of La Laine and her clients; with exclusion of first image sourced from Pinterest. I keep on staring at this yummy throws…. Winter is my least favourite season but this would totally make it worthwhile! !